1. 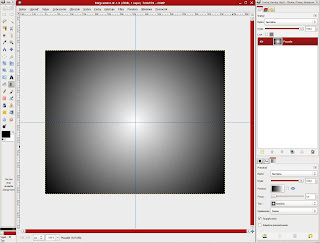 Create an gradient in GIMP. 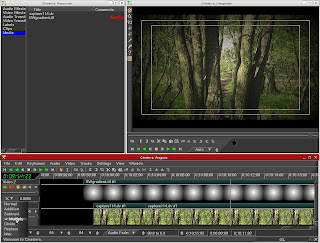 Use resolution of your clip you want vignette. 2. Load your clip and the gradient in cinelerra. 3. Put your clip on the default track. 4. Create new track (RMB-CREATE TRACK).Be sure that your new track is above your clip. 5. Put the gradient image in new track above. Make it long as clip bellow, by stretching the edges of the gradient clip. You need to zoom in cause single images are just 1 second long. 7. Now we are getting closer. BUT one step is missing. 8. 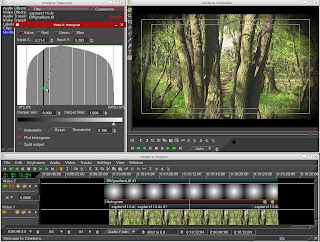 Attach HISTOGRAM effect to the gradient clip. This will give you control over the vignetting (hardness/softness).